Former War Veterans minister Christopher Mutsvangwa has rubbished President Robert Mugabe's "revisionist account" that he went to war earlier than him, claiming the 93-year-old was now forgetting what happened. Addressing members of the Zanu-PF women's league in Harare on Thursday, Mugabe slammed party bigwigs and affiliate organisations that are calling for him to step aside and make way for a successor including Mutsvangwa, whom the nonagenarian claimed he had received in Mozambique when he joined the liberation struggle. "Where are these clandestine manoeuvres that are being done by some little-known organisations and some people who were with us during the war coming from when these people are not the ones who chose me? "People like Mutsvangwa, whom we received at Chimoio as they were coming from university along with other guys, today they now say ‘I must go', it's painful but they are not alone, it's not Mutsvangwa per se, they are being sent," Mugabe said. The leader of the Zimbabwe National Liberation War Veterans Association (ZNLWVA) came out guns blazing yesterday accusing Mugabe of distorting history. The ZNLWVA has previously threatened bloodshed if their preferred choice of Mugabe's successor —Vice President Emmerson Mnangagwa —is blocked. Mutsvangwa, who was fired from both his government and party positions, told the Daily News Mugabe's "recollection on Chimoio Zhunda Camp is just plainly false." "His legendary memory can only now be failing him as advanced age is wont to do. The truth is that I am the one who received ...Mugabe at Chimoio Zhunda Camp; and not the other way round as now claimed by the comrade who became the first President of the Republic of Zimbabwe," Mutsvangwa said. "His version is patently a revisionist account. Only G40 Jonathan Moyo could have penned it for him to regurgitate. "Comrade President, true revolutionaries have that attribute of historical integrity as a cardinal virtue. Let us be true and honest to the Chimurenga II Revolution as it happened. Such integrity is greatest tribute to so many of the fallen heroes of that epochal generation," he added. 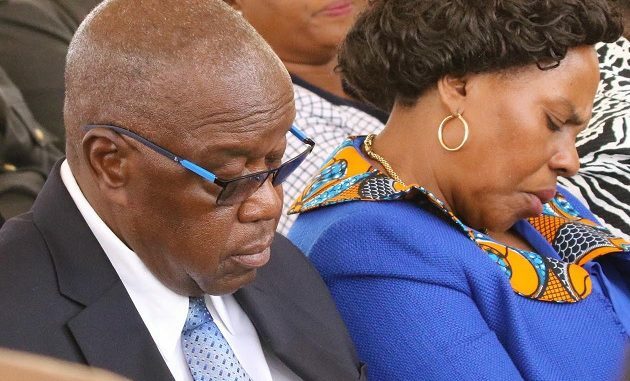 The garrulous former Norton legislator said the correct position is that he arrived at the camp in early July 1975, "soon after Mozambique's independence day on June 25, 1975 together with Willard Zororo Duri, John Mayowe, Sobusa Gula-Ndebele, Masimba Mwazha from the then University of Rhodesia." "...Mugabe only got to Chimoio Zhunda Camp in September 1975... well after my earlier arrival. He came together with Edgar Tekere, Nisbert Makotsi and a Dengwani." He added that Mugabe and Tekere came to the front along with about 150-200 other comrades who would form Company D when Nyadzonia was opened as the refugee holding camp. Mutsvangwa said Mugabe had crossed the border in April soon after the assassination of Zanu chairman Herbert Chitepo. Upon his arrival in Mozambique, Mutsvangwa claimed, Mugabe was resisted by the occupants of Zhunda Chimoio Camp who argued that he was not their political leader as they had been recruited under the auspices of Bishop Muzorewa's United African National Congress. In resisting Mugabe, Mutsvangwa said the camp occupants agitated for his denial of food. "As university students, the five of us took the lead in diffusing the smouldering confrontation as… Mugabe was only backed by the handful 200 comrades he had recruited from Highfield. "I remember… Duri roping me to clandestinely arrange for Oppah Muchinguri(-Kashiri) to cook for Mugabe as the two (Duri and Muchinguri-Kashiri) knew each other from their shared home in Manica Bridge, Watsomba. "Concurrently, we set to work for his acceptance. We used our gravitas as university students to persuade the more numerous refugee occupants of Zhunda Camp to be accommodating of the estranged Mugabe and his group of 150-200 recruits." According to Mutsvangwa, Mugabe was only taken from the refugee camp "to go to teaching exile in far north Quelimane."